Patioworld Goes Pink for Breast Cancer Awareness Month! Announcing the launch of our annual “Patioworld Goes Pink” fundraiser for Breast Cancer Awareness Month! Each year, we partner with our dedicated suppliers to donate a portion of sales towards the fight against breast cancer! 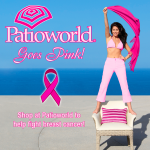 Stay tuned throughout the month of October for more “Patioworld Goes Pink” news and opportunities to help. 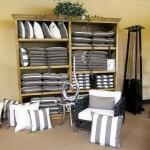 Turn up the heat on backyard entertaining! 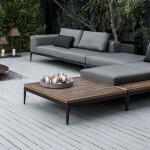 These stylish and functional fire pits add warmth and elegance to any outdoor space. 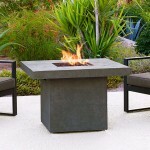 Check out our Fire Pits & Fire Elements page to see more. 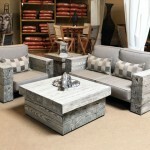 Is it cost effective to treat weathered wooden furniture or should I just purchase new? 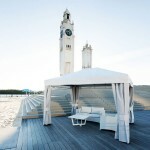 Does Outdoor Furniture Need to be Covered? 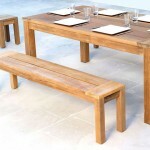 How Do You Take Care of Teak Outdoor Furniture? 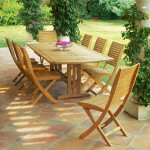 The selection of teak outdoor furniture is an excellent and enduring investment. Teak is a classic, quality wood that can be passed down as an heirloom to the next generation, owing to its durability and timelessness. 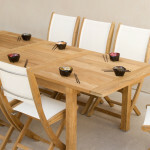 Maintaining teak furniture is easy and manageable especially if you follow the suggestions provided here.